Hello readers! I’m Lorraine, a new blogger with Vamos a Leer, and this year I’m very excited to contribute to our wonderfully diverse, multi-faceted and invaluable blog by producing and compiling reviews, lesson guides, and other educator resources for a selection of children’s books. As the new school year kicks off, so does National Hispanic Heritage Month (September 15-October 15), and we here at Vamos a Leer thought it would be appropriate to draw attention to some “back to school” themes that underline things such as heritage, diversity, and identity. With young students returning to the classroom, the changes involved in starting a new year can be stressful for children. There are daunting challenges that come along with entering a new grade, such as the nervousness of meeting new teachers and peers, making friends, and handling social activities. It is a time when kids have to make decisions about who they are and what parts of their identity they will express in the classroom. No opponent is too big a challenge for the cunning skills of Niño—popsicle eater, toy lover, somersault expert, and worldchampion lucha libre competitor! Yuyi Morales’ books have exploded in popularity and serve as a good resource for Latino/a and Mexican culture. In this book, Niño, the main character, imagines himself to be a famous luchador. Popular figures in Mexican culture, luchadores are theatrical, professional wrestlers who compete with each other as part of a story setting with elaborate plots. Their profession is collectively known as “lucha libre”, which loosely translates to “freestyle wrestling” in English, though the translation misses much of the original’s connotations. Luchadores, like Niño, wear masks to hide their identity; their masks can represent animals, mythical creatures, ancient heroes and more. There’s a great little section at the end of the book that explains more about Lucha Libre culture. In wearing a mask, Niño invites us to ask ourselves (and our students) what masks we wear naturally…are there parts of our identities that we accentuate or deemphasize? Why or why not? 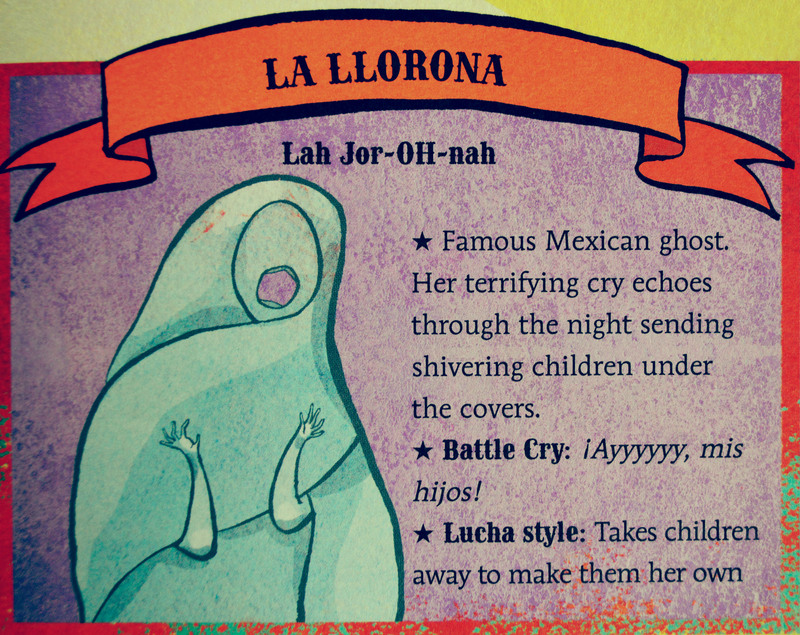 Also represented in the book are classic Mexican and Latino/a cultural figures which are illustrated as trading cards. 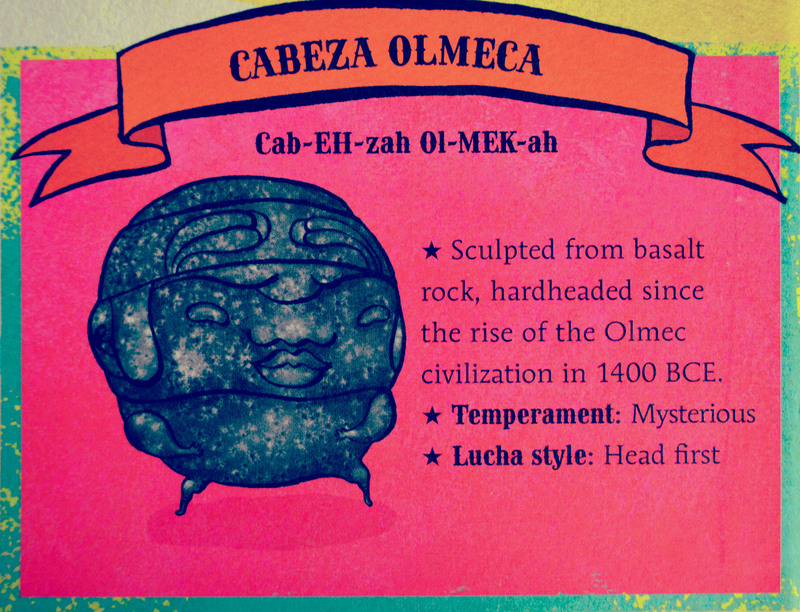 These include Olmec, La Llorona, La Momia de Guanajuato, and El Chamuco, among others. Though the book does not go into detail about these figures, their mere inclusion allows for students to become familiar with these cultural icons, hopefully serving to create a spark of interest and recognition when they are exposed to them in other contexts. The book is also filled with worthwhile life lessons such as when Niño has to battle his annoying sisters and learns that the best strategy is to work with them rather than against them. The book is visually rich, filled with action packed, comic book-esque fonts and details. The textual content of the story is minimal, with each page limited to few, though effective words. Its most powerful rhetorical tool is that it is filled with fun-to-say, read-out-loud-friendly onomatopoeia’s. Having students read these along with you would be a great way to develop oral language skills for ESL students. There is even a dynamic visual perspective, with views angled from the sides, above, and below, which creates theatrical motion, adding to the liveliness of the story. The book won the 2014 Pura Belpré Illustrator Award. You can view Morales’ reaction to the award and read her acceptance speech on the Pura Belpre Award Homepage. In case you are interested in learning more about the book, below are a few additional resources. Here, via NPR, you can listen to an author interview of Morales, where she speaks about her inspiration for the book, her own experience of being fearful of the cultural figures (the villains of the book), overcoming this fear, and celebrating these emotions and feelings by defeating them through the imagination in the character of Niño. Here is a video of Morales reading the book herself. The Classroom Book Shelf shared some great classroom activities as well as resources for the cultural figures mentioned in the book. 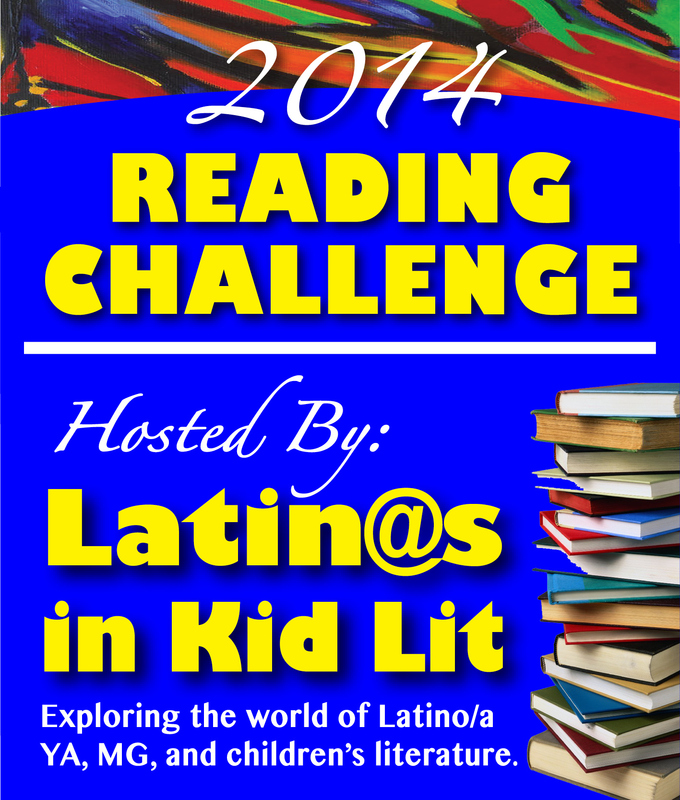 And finally, here you can check out a great review of the book by one of our favorite blogs, Latinos in Kid Lit. Stay tuned for our next ¡Mira, Look! 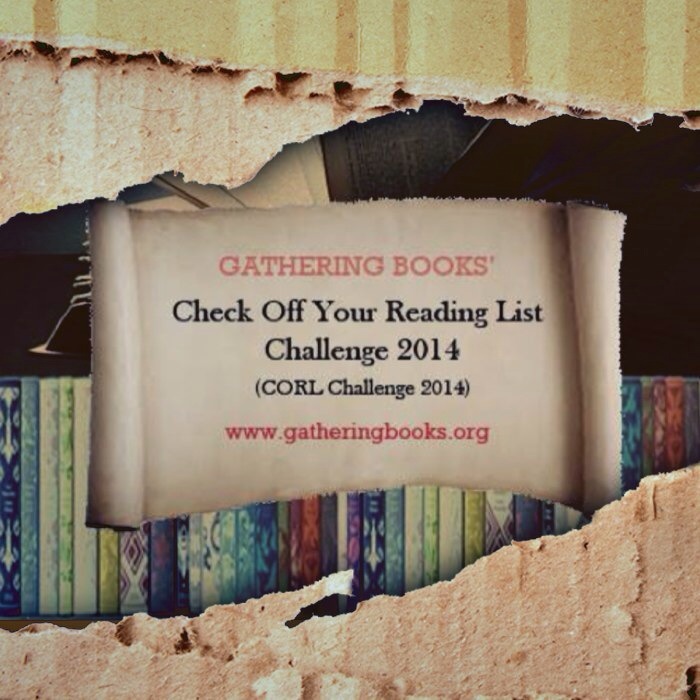 post, and remember to check back throughout the year for many more reviews of children’s books! 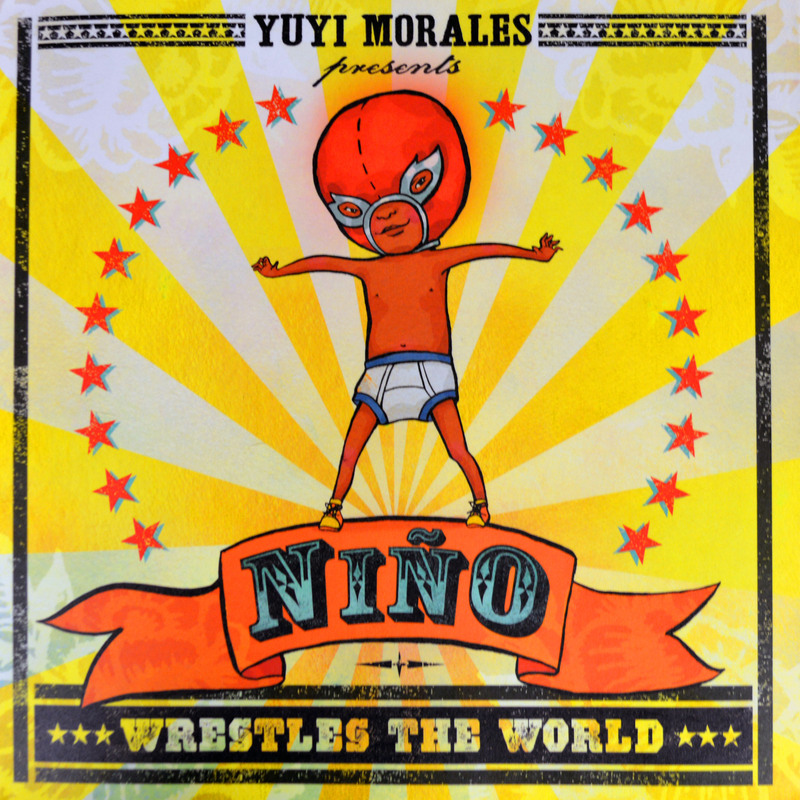 Images: Inside Cover, Niño Wrestles the World.